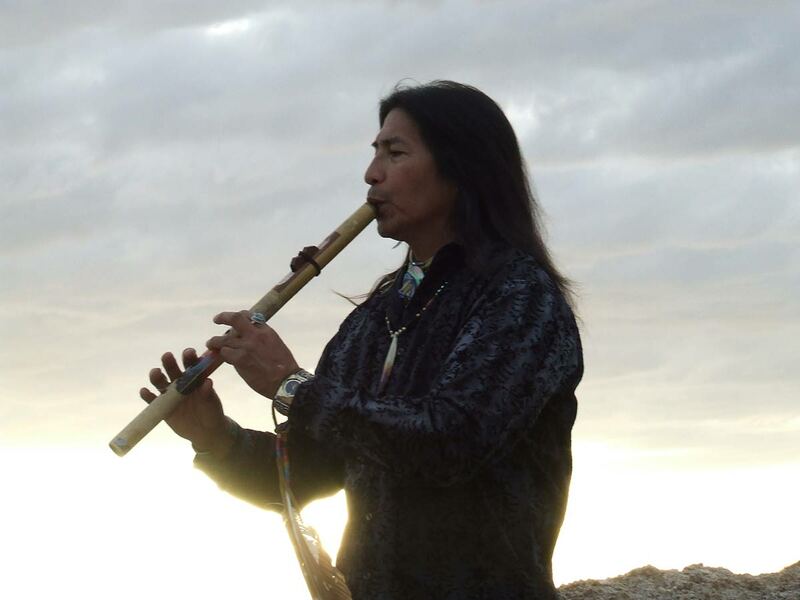 Go deep withing and experience the beauty & strength on earth that transports us to the heavens with Tony Redhouse, a Native American sound healer and spiritual teacher. - Shop now and save with free Mp3 download! 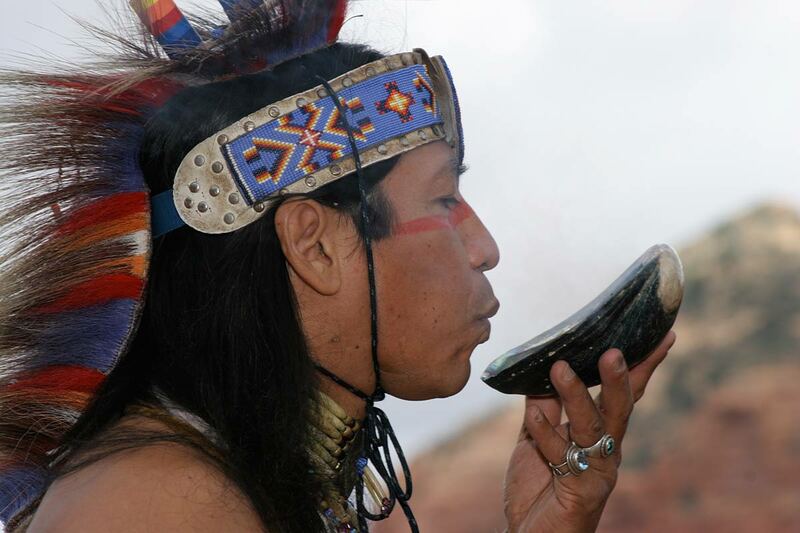 Go deep withing and experience the beauty & strength on earth that transports us to the heavens with Tony Redhouse, a Native American sound healer and spiritual teacher. 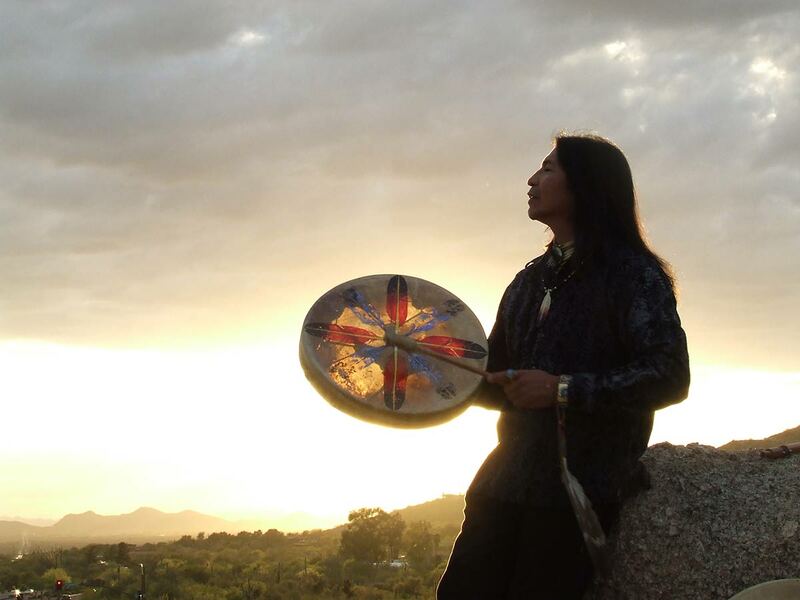 Deep within employs mesmerizing and rich Native American drums and nurturing flutes that slowly build for a spiritual awakening and self expansion. CD one feature guided meditations and CD two is instrumental only for affirmations as well as a complete chill out within the peaceful sonic spaces. 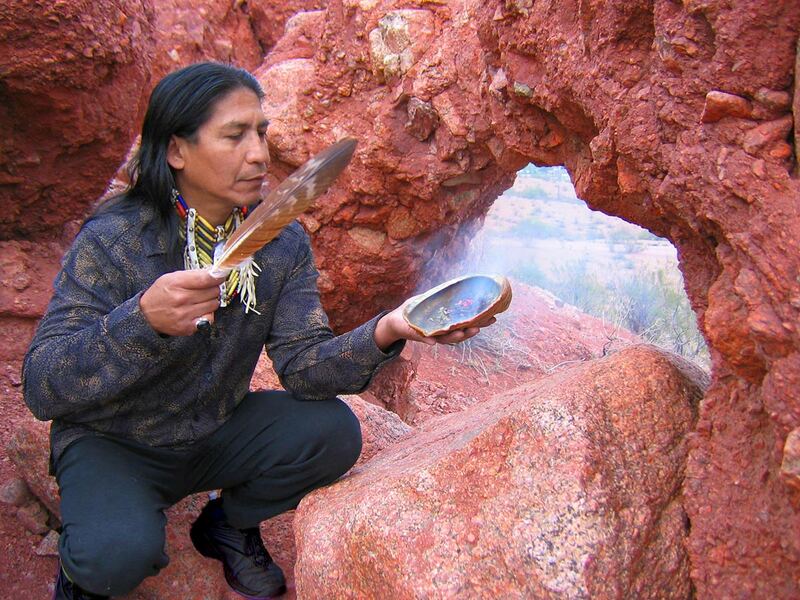 Tony Redhouse, Navajo Indian, is a Native American sound healer, spiritual teacher and recording artist. He draws deeply from the ancient forms of expression, - the voice, the drum and the flute, to create a peaceful space for us to connect with the Spirit. Tony's passion is to share spiritual traditions through his music that frees people to experience the joy of "coming back home" to themselves. His music has profoundly touched those who are in recovery from substance abuse, cancer, grief and trauma. 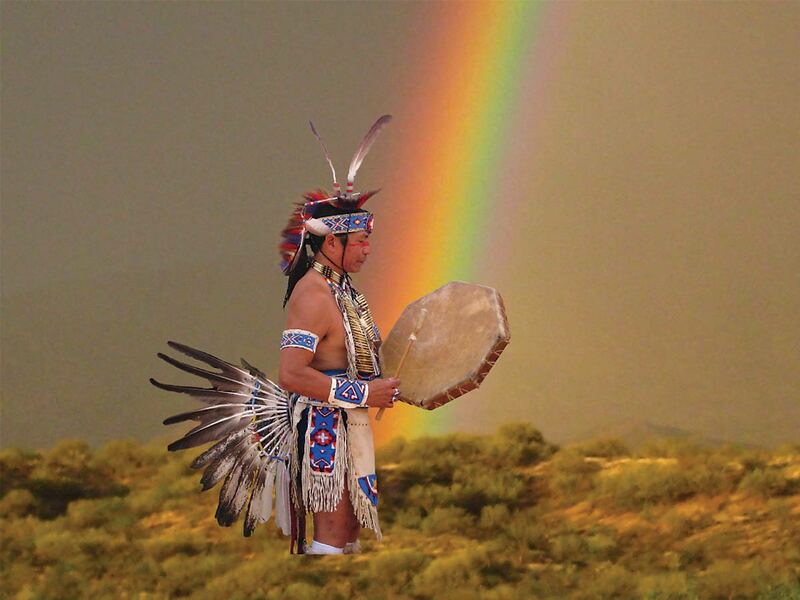 He has presented programs to federal government agencies, substance abuse recovery centers, Native American HIV/AIDS, behavioral health colleges and metaphysical groups. 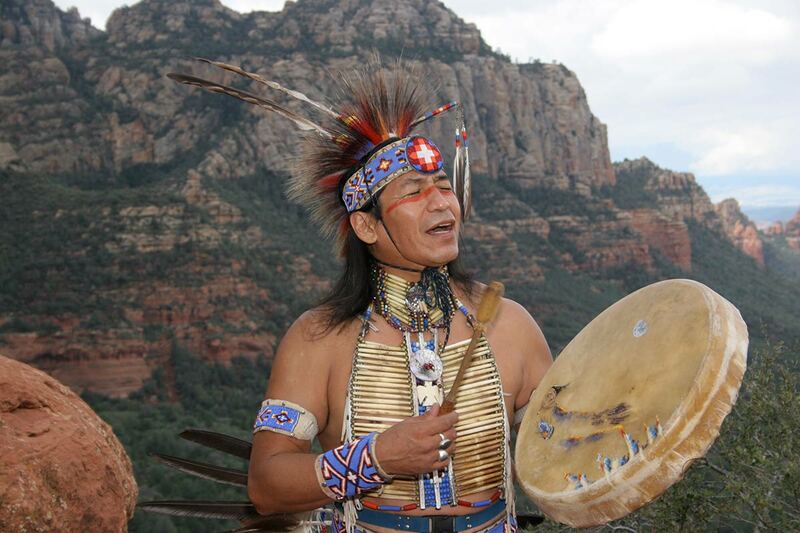 He developed his TV series called "The Tony Redhouse Show" which aired in Tucson Arizona. I, for one, am not always anxious to delve too deep within, but this night there was a peace in the air that transcended any anxiety I had when I arrived, which allowed all of my senses to engage in the anticipation of what lie ahead. An aura of mystery punctuated the atmosphere that seemed to entice even the revelers in the pool as the stage was set for the performance. The first thing that caught my eye was a carved elephant and I couldn't help but wonder what it had to do with this magical mystery tour we were set to embark upon. Mr. Redhouse appeared silently, in stunning ceremonial Native American dress, encrusted with beading and eagle feathers. All conversation ceased and all eyes were on him as he lifted one of the many artfully displayed drums, which were, themselves pieces of art, and began with one simple beat- a heart beat. He moved about the room, pausing by those he was drawn to; those he felt needed to share the beat more intimately. We were completely captivated, all ages and races transfixed by this mystifying, beautiful being as he shared glimpses into his medicine man legacy, a healing world of peace and oneness with each other and nature. 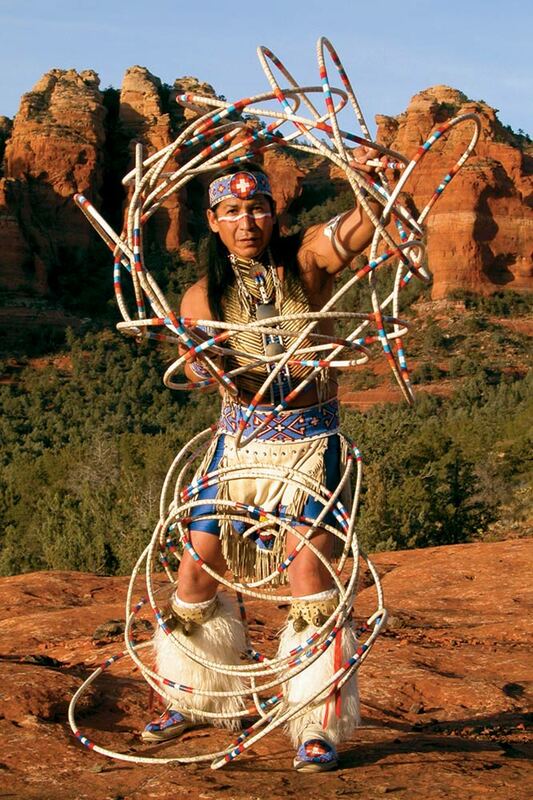 A Native American flute, specially tuned drums, whistles and chimes combined with dancing, hoops and eagles feathers all created from his own hands were carefully chosen from his collection to enhance and create understanding and harmony with the message he sought to share. For a few electrifying moments, we all shared that same heartbeat and all seemed right with the world. Some were moved to tears! I took a friend's hand as we were invited to take bits of sage from Tony Redhouse's medicine pouch, combine them with our personal fears and anxieties and place them in an abalone shell vessel, and joined a long line of those wishing to watch our troubles blow away in smoke from the healing flame with which the medicine man set them free. I'm sure his wisdom touched each heart in a very personal way, but his message was not unfamiliar. Ancient, and seemingly elusive in our contemporary world, being at one with ourselves, each other and our universe seems so natural yet so far removed from the harsh reality of now. Somehow on this special night all things seemed possible. And the elephant? I was so entranced by Mr. Redhouse and the essence of what he represents that I am not aware if he even used it! I guess you will have to see for yourselves. It's a rare opportunity to give your heartbeat a new pulse. 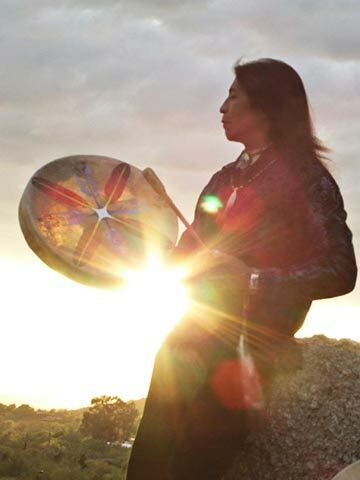 Tony Redhouse, Navajo, is an articulate Professional Speaker and talented Hoop Dancer who infuses light-hearted humor and fun into every performance. 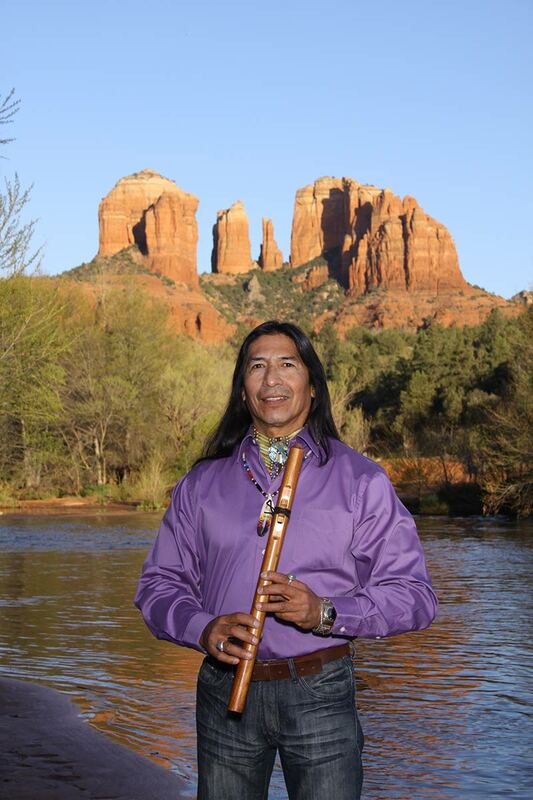 Tony Redhouse is not just your ordinary speaker. 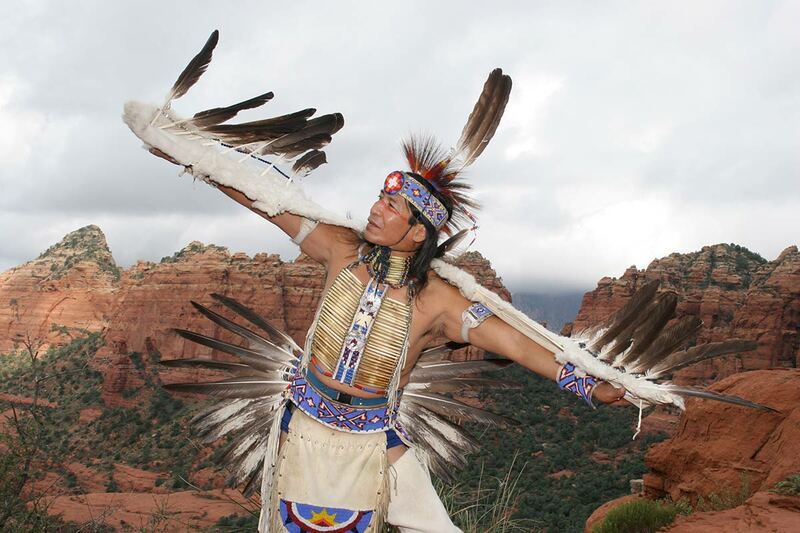 Imagine colorful and mesmerizing Native American Dance, Stories, Music and audience participation in a dynamic speaking program. This is not a stoic history lesson or a worn out lecture on the plight of the American Indian. What you will get with Tony Redhouse is something personal, positive, thought provoking and even magical. Tony is one of the few Native entertainers today, who has successfully bridged the gap between cultures, social groups, races and ages. Tony has also founded his own style of yoga, Native American Yoga along with new spiritual interactive workshops, talking circles and meditative music. Mr. Redhouse has several music CDs out, and is a Grammy nominated artist. 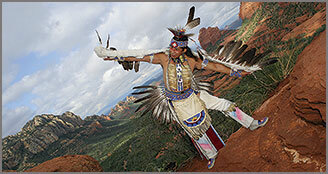 Mr. Redhouse brings healing in the form of Dance, Storytelling, Music and motivational speaking. Tony Redhouse has served as a Native American Traditional Consultant for HIV/AIDS, substance abuse recovery and Red Road Youth Groups. 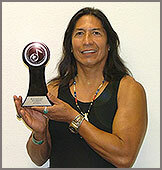 He is the recipient of several Native American Music Awards, and is a Kennedy Center Approved Artist. Tony has acted as Keynote Speaker for U.S. Governmental Conferences in Washington D.C. and for organizations Nationwide. 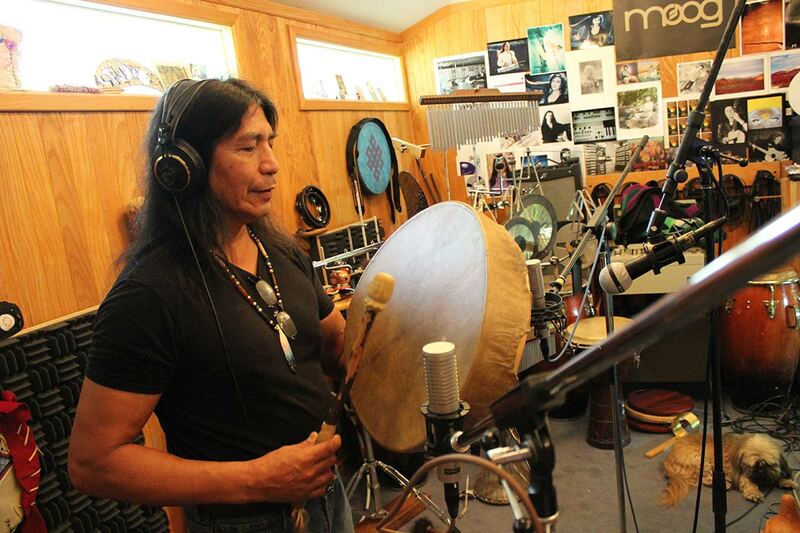 TONY REDHOUSE - SOLO MUSIC Tony Redhouse, (Navajo) is an accomplished World-Beat percussionist. During Tony's youth, he was exposed to Afro-Cuban, Latin Rock and urban soul style drumming in the San Francisco Bay area, and continued to pursue other African based rhythms which he later fused with Jazz. He has recorded with his siblings, "The Redhouse Family Jazz Ensemble", on the Canyon Records label CD titled "Urban Indian". Tony can also be heard on other CDs with Native artists Darryl Tonemah on the "Ghosts of St. Augustine", with Robert Tree Cody on "Maze". and "Native Flamenco", the latter which fuses fiery Latin percussion with traditional flamenco guitar and Native American flute. 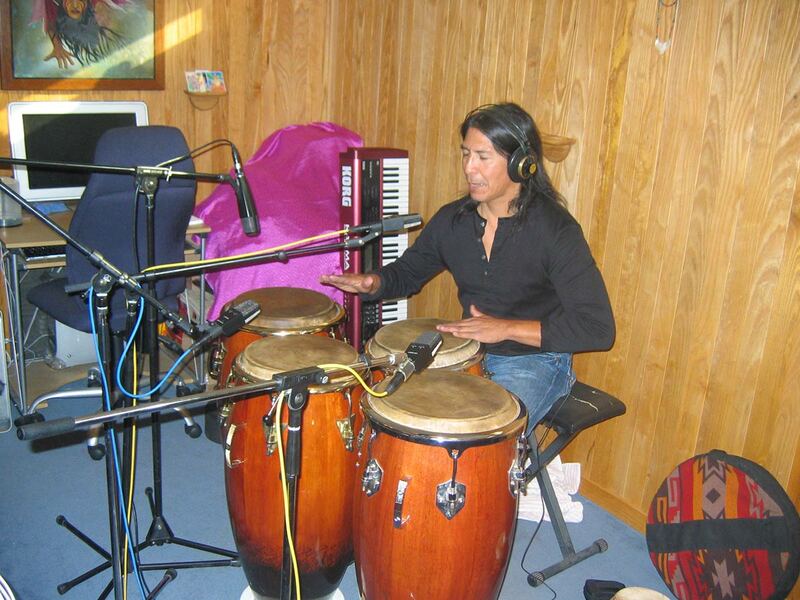 Tony is currently working on several solo CD projects, and plays locally as a guest percussionist with such groups as Maruma (Rock) and The CPR Orchestra, a high energy Latin/Salsa group. 2. Eagle's Flight - Like the eagle we can learn to leave the nest, and allow the challenges of life to lift us up to the heavens.